Once the realm of hoverboards, neon spandex, and the Twilight Zone, virtual reality headsets are now available for purchase worldwide, making their debut with Oculus Rift’s rise on Kickstarter in 2012. Seven years later, VR has fallen short of its projected impact. What happened? The cause for VR gaming’s underwhelming success ranges from mediocre game options to high cost of entry, but VR’s puzzling journey – and its projected future – are best understood if we start from the beginning. Loosely defined, virtual reality is the simulation of an environment. With this definition in mind, we can see that the history of virtual reality began long before the invention of computers. The first such attempt at simulating an environment was panoramic painting. Such paintings wrapped around the entire room, surrounding the viewer on all sides. Stereoscopic photographs, which layered two separate photographs side by side to create a three-dimensional image, were also fundamental to our modern conception of virtual reality. What we recognize as VR today only began to take shape in the 1960s. In 1968, Ivan Sutherland invented a VR ‘headset’ that was so heavy it had to be suspended from the ceiling, earning the name “Sword of Damocles”. It projected primitive computer-generated images to the user through a binocular-style viewing lens. The prototype for a personal VR headset would not come until almost thirty years later when Nintendo released the infamous Virtual Boy. While ambitious, the console’s performance was underwhelming at best, and served as a reality call for gamers: they would have to wait for the technology to improve before VR would be enjoyable. 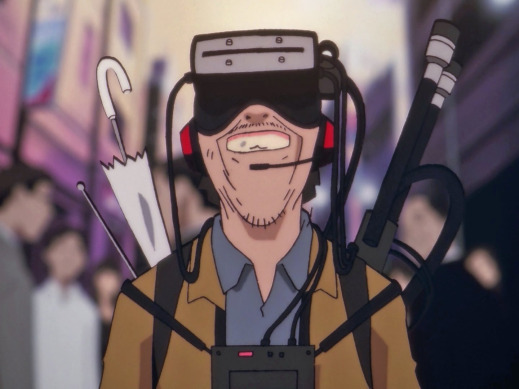 In the meantime, films and shows like “The Matrix”, “Ghost in the Shell”, and “Serial Experiments Lain” kept people excited for the moment when high-performing VR technology would be available for users at home. That moment seemed to arrive in 2012, with the Oculus Rift. The Kickstarter earned over 2 million dollars in the two years that it ran, and when consumers finally got a hold of their headset, they were amazed by how well it worked. Enthusiasts remained optimistic as hype grew and larger companies started cashing in. In 2014, Facebook bought the Oculus VR for 2 billion dollars. Two years later, PlayStation released their own headset, the PSVR. It’s been three years since but the market for VR gaming is still surprisingly dormant. What happened, or rather, what didn’t happen? The first problem is the cost of entry. Even seven years later, the cheapest true VR headset (not just a cubby for your mobile phone that you can strap to your face) is the PSVR for $200 – over half the cost of a brand-new console. If you’d prefer the Oculus Rift, it’s twice as much, and you’d better have a decent PC to run the VR software as well. Some might find this unsurprising. Any new technology will initially be expensive, and these days, people shell out $60 for a brand-new game without batting an eye. But even if they were affordable, users would still be confronted with the lack of software available. Around the initial launch, purchasing a VR headset like the Oculus Rift or its competitors was like buying a Ferrari only to be told you could only drive it in parking lots. This may not be exactly the case today, as several big developers have released VR versions of their game (Skyrim, Fallout 4, and SUPERHOT, to name a few), yet the quality to quantity ratio of VR games is remarkably low considering how long VR technology has been available. But if software is the issue, are the developers to blame? Not exactly. Sony sold almost 20 million PS4 consoles in 2018, whereas VR headset sales for all brands was less than 5 million. No small number, surely, but VR headsets have been available longer than the PS4. Why the meager success? It must be remembered that the gaming industry is still an industry – profits matter. This is especially true for a growing market like VR gaming. 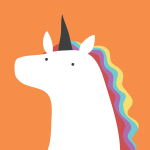 Developers still have to eat, and it’s hard to put food on the table when your product reaches few people. If developers are reluctant to create VR-specific content because of high risk, and consumers are unwilling to throw down a few Benjamins for a limited selection of games, what will happen to VR gaming? The solution might have nothing to do with videogames at all. Other companies outside of the gaming sphere are exploring the integration of VR technology. The ideas range from the practical to the bizarre. On one side of the spectrum, Airbnb has suggested virtual tours of rental locations. If this catches on, it could transform real estate or even tourism. On the more experimental side of things, we have Black Box VR. 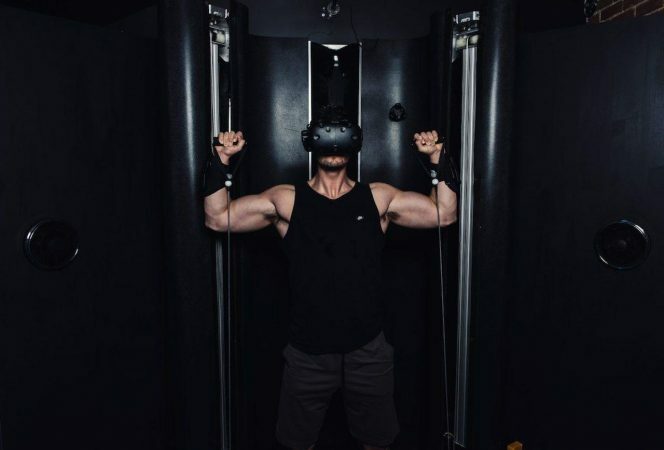 The Boise-based company offers virtual reality fitness using a supplementary weight-resistance device that reacts to the user’s VR headset. Simply put, it’s a cable resistance-machine that is synced with the “game” the user is playing. Players can kill monsters by performing reps! As the player advances, the weight increases. Such innovative uses for VR show that the technology can still be a game-changer (no pun intended). Once VR technology has effects outside of the gaming industry, headset sales will increase, and game developers will be further motivated to expand what is currently a niche market. A demo prototype of the Black Box system. The VR gaming market may yet do fine without any help. It’s current status as a growing niche makes it fertile grounds for indie teams to create a smash hit. Several promising titles that aren’t just AAA VR remakes are in the works; games like Stormland, Budget Cuts, and Population: One, to name a few. Titles like these give me hope for the VR community. It’s only a matter of time before the Halo of VR finally hits, and after that, headsets may become as ubiquitous on the bus or playground as Gameboys were twenty years ago. I think VR still has a shot to become the next big thing. We all just need to hang on a little longer. Indie Spotlight: Could Unsung Warriors be the next must have couch co-op?